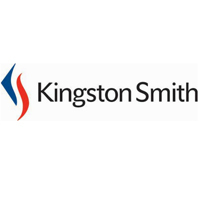 Kingston Smith Update – Are you compliant with the new rules for Commercial properties? Property Update: Are you compliant with the new rules for Commercial properties? From 1 April 2018, a large proportion of private rented property, including offices, warehouses, factories and residential properties, are required to have a minimum energy performance rating of E on an energy performance certificate (EPC) when entering into, or renewing, a lease. This essentially makes it unlawful for all properties with an energy performance rating of F or G to be let by property investors, unless their property is eligible for one of the exemptions. If you are an owner of commercial property that is currently let, you must ensure that it fully complies with the legislation from 1 April 2023. It is estimated that over 30% of commercial property in the UK currently does not comply with the Minimum Energy Efficiency standards! Penalties for non-compliance are significant, with a minimum fine of £5,000 and a maximum of £150,000 per property. Questions about how this regime is being enforced have been raised. However, specialists anticipate that it will effectively become ‘self policing’. Lawyers, surveyors and bankers involved in the leasing or refinancing of a property are requesting a copy of the EPC certificate for a building. If the building does not meet the minimum standards, investors are being asked for a plan of works to ensure that the property will comply. Those selling properties not meeting the minimum standards are already finding buyers are reducing offers by the estimated cost of the necessary works. There are exemptions but these are not well understood and can be complex to apply. For example, owners of listed properties are not exempt – they need to get an assessment and, if the property is classified as F or G, look at the works required to improve the rating. If these require consent from a third party (e.g. for the installation of external condensers for air conditioning units), an exemption can be obtained. Another exemption is the seven-year payback – if the costs of the improvements are greater than the (discounted) energy savings over seven years, an exemption can be claimed. Kingston Smith LLP recommend all owners of commercial property draw up a register of their properties. This should record the EPC rating for each property, the date of the certificate and the date of any lease renewals. Landlords can plan for renewal of certificates and for any improvement works required to allow for leasing to new tenants, or compliance of all leased property from 1 April 2023. If works are required, care should be taken to ensure the maximum tax relief (e.g. capital allowances or remediation relief) can be claimed. When tenants ask for licences to undertake works to a building, the impact of the works on the EPC rating should be considered. Landlords should ensure a licence includes a provision requiring reinstatement of properties to the original EPC rating on termination of the lease. Alternatively, landlords may wish to ensure that the licence to undertake works includes a requirement that the works do not cause a reduction of the current EPC rating.